"Reformers still have a lot of work to do to show the typical middle-class person why reform will work for them," said Senator Ron Wyden, an Oregon Democrat. WASHINGTON - Americans’ opinion of the health care proposals now before Congress is eerily similar to public sentiment about the Clinton health reform initiatives in 1994, according to an analysis published online yesterday in The New England Journal of Medicine - and that may not bode well for Democrats. Americans believe the health care system needs to be fixed and they like many of the ideas Democrats are proposing, the report found. But they believe the specific proposals taking shape would not benefit them personally, and they fear they could result in more expensive and lower-quality care. The report, which examines more than 30 polls conducted this fall and during the spring of 1994, when the Clinton health reform effort was gasping its last breaths, was co-authored by Robert J. Blendon, a professor of health policy and political analysis at the Harvard School of Public Health. Both parties have regularly consulted Blendon, a leading specialist on health care and public opinion. “When you go from ‘health reform’ to the bills, the bills have no majority support anywhere,’’ Blendon said in an interview. President Obama has won far more cooperation from Congress this year than Clinton did in the mid-1990s, partly because of a difference in strategy: Obama let Congress handle the details of the bill drafting, while Clinton provoked resentment among lawmakers by employing a secretive process within the executive branch. At this time in 1993, the parallel point in the Clinton presidency, Clinton had not yet completed work on his initial proposal. This year five congressional committees have passed legislation, and the House and Senate are nearing initial votes on bills with similar approaches to the problem of how to cover nearly 50 million uninsured Americans. Jim Dau, a spokesman for AARP, said that because insurance premiums have skyrocketed in the last 15 years, interest groups from across the political spectrum now agree that doing nothing is not an option. “The big difference is that right now, everybody’s united on the fact that we need this, employers, labor, consumer advocates,’’ he said. But Blendon’s analysis hones in on a key point that Democrats may focus on more intensely after elections this week underscored deep concerns about the economy and, in some places, dissatisfaction with Democratic leadership. Blendon said the reason support for health care overhaul deteriorates when the questions focus on specific legislation is that people rarely consider that fixing problems requires trade-offs. For example, he said, seniors may support the concept of a health care overhaul, but some are suspicious of proposals to cut a portion of future spending increases for some kinds of Medicare providers - such as nursing homes and home health aides - to subsidize coverage for the uninsured. Blendon called affordability the “sleeper issue’’ of the health care debate. All the proposals would require most Americans to obtain health insurance or pay a penalty, so as the legislation solidifies, people will pay close attention to how much insurance will cost those who don’t have it now. One way that Massachusetts avoided a collapse of support for its 2006 health care law, Blendon said, was by providing substantial premium subsidies for the low-income uninsured. The proposals Congress is considering would not be as generous. He said the analysis, which he co-authored with John Benson, a research associate at Harvard’s public health school, suggests that proponents of the health care overhaul should more clearly articulate how their legislation would benefit middle-class Americans - not just those who find themselves in dramatic or rare situations, but regular families facing large medical bills they cannot afford to pay. The legislation would, for example, prohibit insurers from discriminating against people because of preexisting health conditions, and it would provide access to more affordable insurance than many people have now. 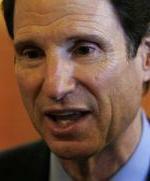 Senator Ron Wyden, an Oregon Democrat, agreed. “Reformers still have a lot of work to do to show the typical middle-class person why reform will work for them,’’ Wyden said. But Wyden also said Democrats can do more to contain costs and provide choices to people who already have insurance but find it far too expensive. He is pushing an amendment that would allow more Americans to buy coverage through the new “exchanges’’ using pretax dollars and whatever contributions their employers would make.